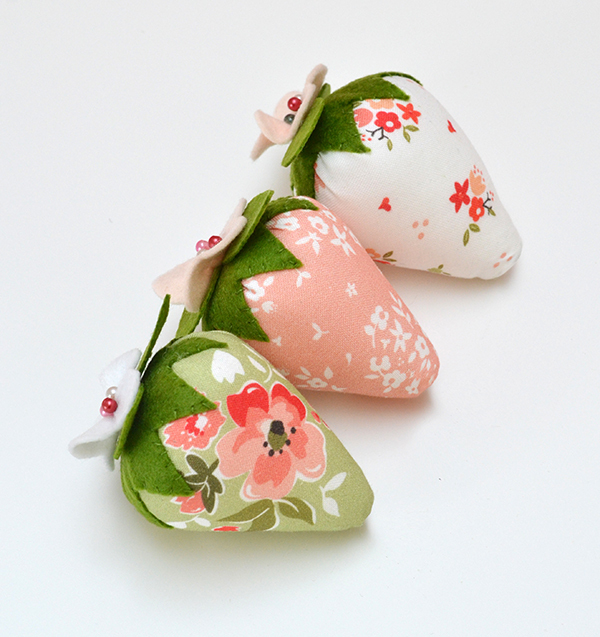 We're literally counting down the days before my new collection Summer Blush starts shipping to stores - and I couldn't be any more excited! 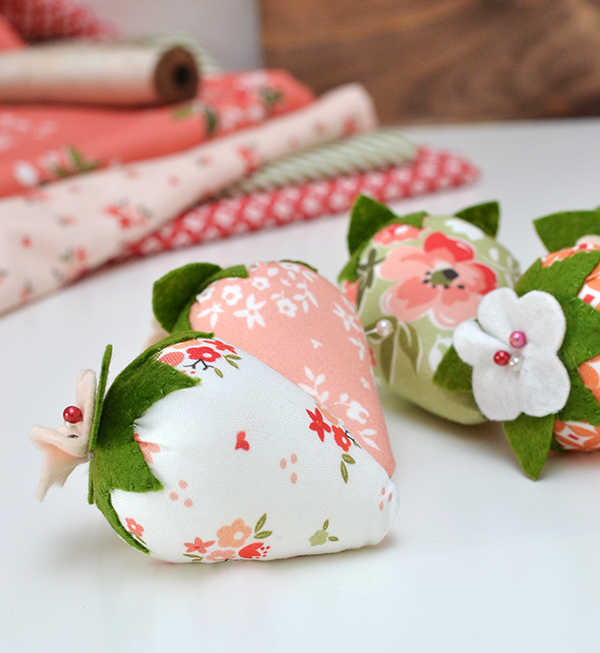 The last few days I've been busy making two new quilts featuring this collection (which I can't yet share) and using the precious scraps to make strawberry pincushions (which I can!). 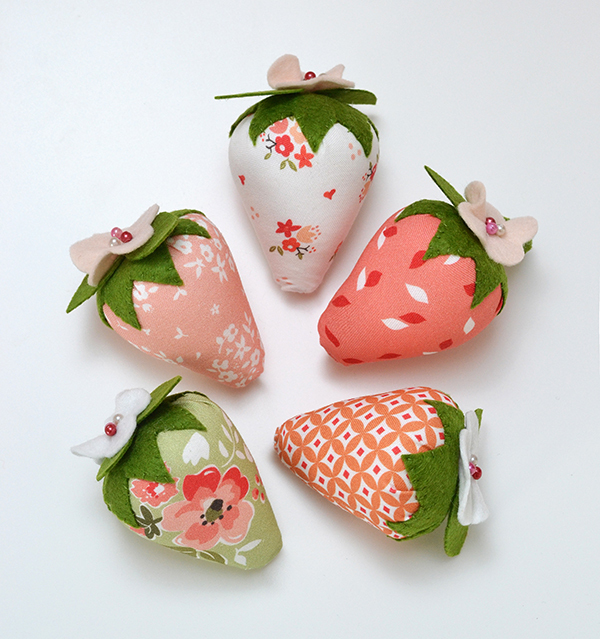 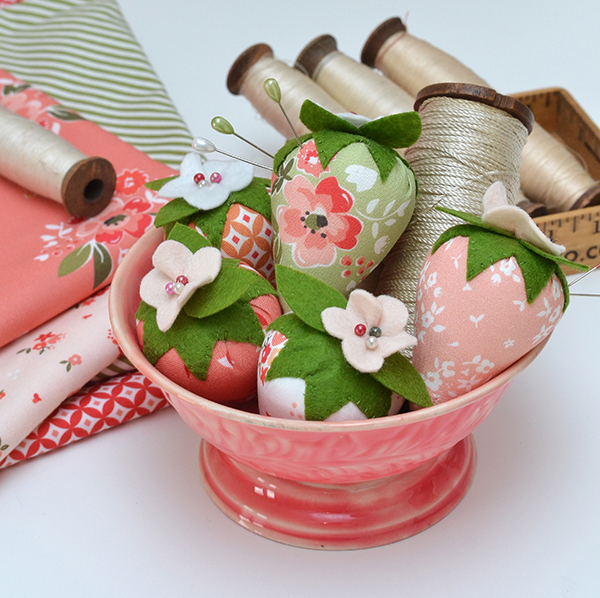 I used my free strawberry pincushion tutorial to make these sweeties - I thought strawberries would be a lovely fit with these fabrics given that summer fruit (peaches, apricots, watermelon and of course strawberries) was a major inspiration for this collection! 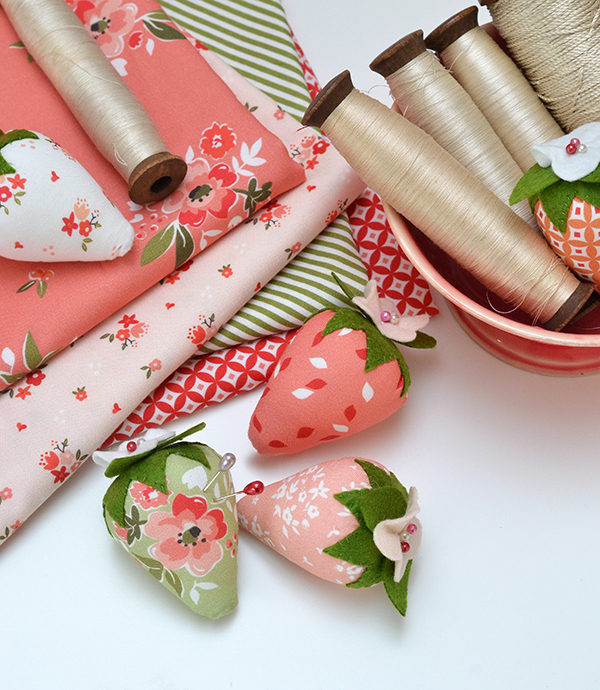 Summer Blush will be available in local quilt shops and fabric stores from August - ask for it at your local shop if you would like to get your hands on some! 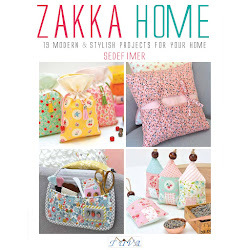 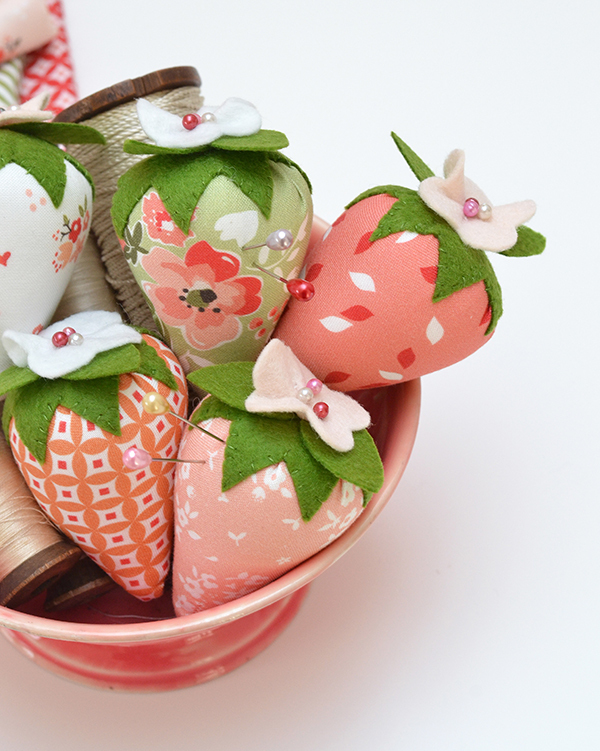 Any chance you have a pattern or tutorial for those adorable little pin cushions?